Not a give up person! Don’t let disappointment take you down = Get up! Don’t be give-up person = Never Give up! 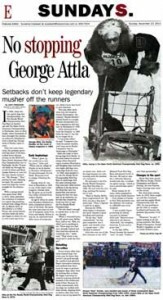 With a racing career that spans from 1958 to 2011, George Attla embodiesthe evolution of competitive sprint dog mushing birthed from village Native life. For four decades he raced in front of the pack to earn every sponsorship. Today at almost 80 years old, George still races to win, inspiring youth to discipline both their minds and bodies. 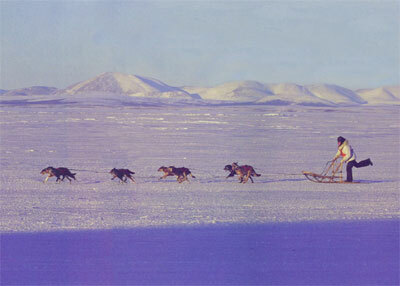 Get Involved – Start Mushing! This site was made possible by a grant from the Alaska Humanities Forum.